But only for consumers, as commercial businesses are managing to keep up. The Federal Deposit Insurance Corporation – better known as the FDIC – published their quarterly banking profile on Tuesday. It’s basically a guide to how America is doing financially. This new report covers our outlook through the fourth quarter of 2017. 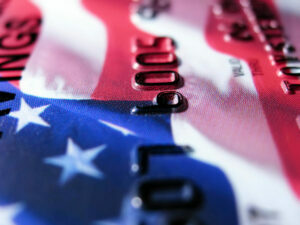 Both noncurrent balances and charge offs for credit cards hit an all-time high at the end of last year. Noncurrent credit card balances) grew by 11.5% in the last three months of 2017. That’s a total increase of $1.2 billion. Those are past due debt payments that are more than 90 days late. Credit card charge-offs grew by 15.7% or $1.1 billion. 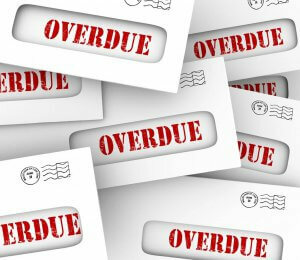 Charge offs happen when a payment is more than six months past due. That’s usually when a creditor writes of the account as a loss. They close the account and sell the debt to a collector. Credit cards aren’t the only past due debt payments that American consumers face now. In fact, charge-offs have increased for nine consecutive quarters. In addition, although noncurrent balances had been on the decline, consumers fell behind hard last quarter. Consumers also fell behind more on mortgage payments. Noncurrent balances on residential mortgages were up 5.2% or up by $2.8 billion. By contrast, commercial businesses are doing better at avoiding past due debt payments and charge offs. Charge offs for businesses fell by 8.6% and noncurrent payments fell by 8.5%. So why are businesses doing better while American households are falling behind? A report in the Financial Times hints that these numbers may provide ammunition for critics of new tax reform. People against the recently passed Republican tax reform plan have said all along that it benefited businesses ahead of the average American. Herman encourages individuals and families to pay off credit card debt. Even if you’re not struggling, steadily increasing balances are a sign of trouble. You effectively need to find a solution before your debt becomes a problem. 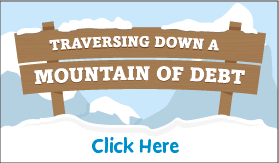 Do you owe more than $5,000 in credit card debt and need help exploring your options for debt relief? Talk to a certified credit counselor now!